Walmart has Battle For Azeroth on sale for 40% off. First big price cut for the latest World of Warcraft expansion. New playable race, new character class, and new scenery. What used to be a $50 expansion is now only $30 thanks to a web-wide discount on World of Warcraft Legion. Similar deal available at Battle.net but useful for those with GameStop PowerUp rewards or gift cards. The average price for this game since released is $8.66. 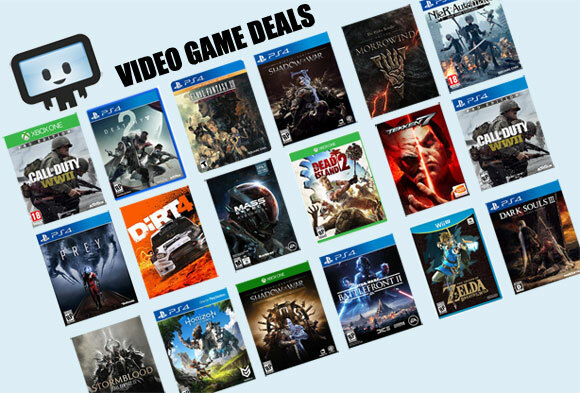 The game first became 50% off on Jun 2, 2014 at Best Buy. Lowest historic price was $4.99 on Nov 24, 2015 at GameStop. WoW slapped down to its all-time low of $5 today at GameStop. Physical copy with free store pickup... or you can have free shipping with a total order of $25+ and apply coupon SAVER at checkout. WOW down to five bucks this week at Amazon. Ties thea ll time low last seen in November last year. PC Download key (no physical box). World of Warcraft down to $5 at Gamestop. Cheapest ever by $5. Next best price is $10 but usually goes for $20. GameStop has 60-Day World of Warcraft prepaid subscription card for only $15.97 with free store pickup. Given the cards are rarely on sale, this is a solid deal. World of Warcraft: Warlords of Draenor down to $10 at GameStop. Recently the base price was cut from $50 to $20. Now a temporary drop to $10. Historic low price point. The average price for this game since released is $29.66. The game first became 50% off on May 18, 2015 at GameStop. Lowest historic price was $9.99 on May 16, 2016 at GameStop. Warlords of Draenor is now only $10 at GameStop's Summer Sale. This is VERY RARE deal given its a Battle.net key and only very few retailers sell authorized B.net keys beyond Blizzard. Previous low was $25. Big drop. Tying its all time low is World of Warcraft: Warlords of Draenor at Walmart. Store pickup is free. Amazon is price matching. Amazon has Warlords of Draenor on sale for 20% off. First big price cut for the latest WoW expansion. Free shipping or speedy 2-day for those with prime. Interestingly enough, MSRP is $10 lower everywhere else but still cheaper if you go Amazon. Bunch of Blizzard titles now only $8. Latest WOW expansion is on sale at Best Buy while supply last. Free ship if your order is $35 and more or go with store pickup if your nearby location has them in stock. GameStop is starting an early Black Friday sale, with Warlords of Draenor on sale for only $13. This is the lowest price we've seen yet for the PC physical DVD copy. Shipping is free with SAVER coupon. The average price for this game since released is $22.20. The game first became 50% off on Nov 22, 2012 at Best Buy. Lowest historic price was $4.99 on Aug 17, 2015 at Best Buy. Now that Warlords of Draenor is coming out, you can grab Mists of Pandaria for only $10 at GameStop or Battle.net. Before you ask, yes, there is still A LOT of people playing WOW. Is this just the serial key? First post-release discount on World of Warcraft Mists of Pandaria. The highly anticipated expansion pack launched yesterday. New playable race, new character class, new scenery, same old graphics. Wait, people still play World of Warcraft? Oh I see, only ten million or so left. Uh... thats kind of still a lot? One of the last expansion to WoW, Mist of Pandaria is now available for preorder at Newegg with $10 off. If you're one of the few millions recovering addict, just ignore this post. But if you want to return to the land of never-ending loot, you know where to click! One day only deal on WoW: Cataclysm. Usual price is $36 ish, with sales price from Amazon hovering around $28 to $30. The expansion gets you the usual stuff you'd expect from Blizzard: more quest, more race, more raid events, and more silly time sink quests (collect 10 more feathers, sure why not!?). User reviews based on metacritic is mixed, with 5.3 out of 10 the average user score (quite low actually). The critic review however is significantly more positive at 90 out of 100. Some food for thought on the large gap between users and reviewers. If you're a WoW veteran though, you'll probably get exactly what you expect/want, but if you're a casual WoW gamer, the money may be better spent towards some new genre.. maybe even the hot new Portal 2? The average price for this deal since released is $24.50. Lowest historic price was $9.99 on May 27, 2014 at NewEggFlash. Sales price on WoW Cataclysm is finally back at Amazon. You get new races, new areas to explore, and the usual things you'll expect from a WoW expansion. Riveting quest such as 10 more feathers to collect, etc. etc. User reviews are mixed compared to critics (which unsurprisingly gave it high marks). The lowdown is, if you're a WoW fan, you'll very likely enjoy Cataclysm without issue.